As the foundation of the Virutal Goods Economy, Blockv will exponentially increase the value that you get from the digital world. BLOCKv provides developers with the building blocks to design the experiential economy of the future and unlock new revenue generating opportunities for businesses within this growing ecosystem. The BLOCKv platform enables the creation of smart digital objects on blockchains unlocking the potential to rapidly engage end-users and traverse digital and real-world environments. These smart objects, called vAtoms (Virtual Atoms) combine code with multimedia elements and are dynamic, compelling digital goods that make a cryptocurrency come alive as an asset for developers, brands and end users. The KRYPTON SOFTWARE team is building CrowdWiz, a next generation decentralized investments ecosystem, based on Ethereum. We will use blockchain technology to revolutionize and democratize the investing and capital raising sphere by eliminating the contemporary intermediaries in the market, such as investment brokers, fund managers, underwriters, and big financial institutions, and by doing so we will place the power and control over the investments in the hands of investors. Currently there are many app & web based tools to connect two parties on voice and videos, but existing tools to monetize this exchange are cumbersome and costly. Experty unlocks the consultations market using a ‘skype-like’ app for paid-calls on the blockchain. Conversations can now be easily monetized in cryptocurrency transparently using Experty. People from across the globe, including the unbanked, can share their time, knowledge and expertise on the world stage. Experty is suitable for many knowledge providers including lawyers, therapists, professors, celebrities and popular social media influencers, saving countless hours and increasing both efficiency and accessibility to human knowledge exchange worldwide. Guardian Circle decentralizes emergency response through mobile, voice and wearable devices to flash-organize protection. By utilizing friends, family, neighbors, paid semi-pro and professional responders, Guardian Circle creates greatly faster and richer response to urgent situations. 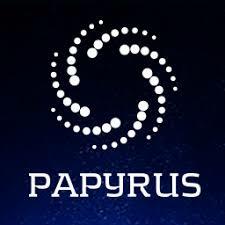 Papyrus is a fully comprehensive and highly scalable decentralized ecosystem for digital advertising which radically improves programmatic advertising stack to provide efficient, transparent and mutually beneficial environment for users, publishers, advertisers and decentralized application (dApp) developers using blockchain architecture. Science wants to use their expertise at company building to help select blockchain entrepreneurs in their efforts to become the software giants of the next century. They believe token holders should benefit from access to a stream of new tokens from Science’s carefully incubated portfolio companies. In turn, investors should as a result, participate in any upside from ownership of the Science Tokens, as the proceeds from dispositions of portfolio companies are anticipated to be used to repurchase those tokens via a buyback program. Public sale date: Live Now! The Sun Exchange is a new crypto-marketplace that enables the crowd-sale of solar cells that power businesses and communities in the sunniest locations on Earth. Each solar cell purchased through theSun Exchange powers hospitals, factories, schools, rural communities and farming co-ops and other end-users, while allowing you to invest in photo-voltaic assets to power a cleaner future. We find the most social and environmentally impactful projects, arrange the solar equipment leases for buyers, and operate the revenue collection and distribution systems so buyers can earn a passive stream of rental income powered by the sun. Our aim is to catalyze the conversion of the plant from a hydrocarbon- to a silicon-based economy. Our token will afford holders privileged access into our rapidly expanding business ecosystem while building compounding value by accelerating our deployment of beneficial solar power across the planet.